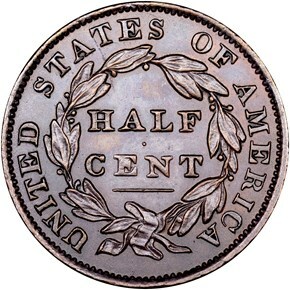 The 1834 half cent is another issue that is relatively common in Mint State, though examples displaying original red color are fairly scarce. 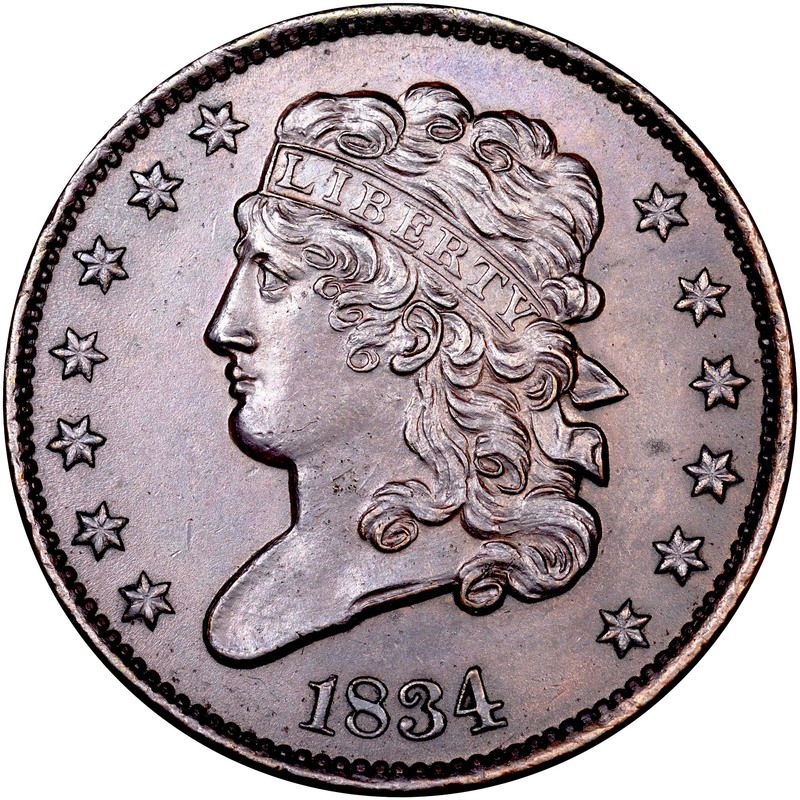 Most such pieces reveal die-clash impressions on both sides which do not detract from their value. 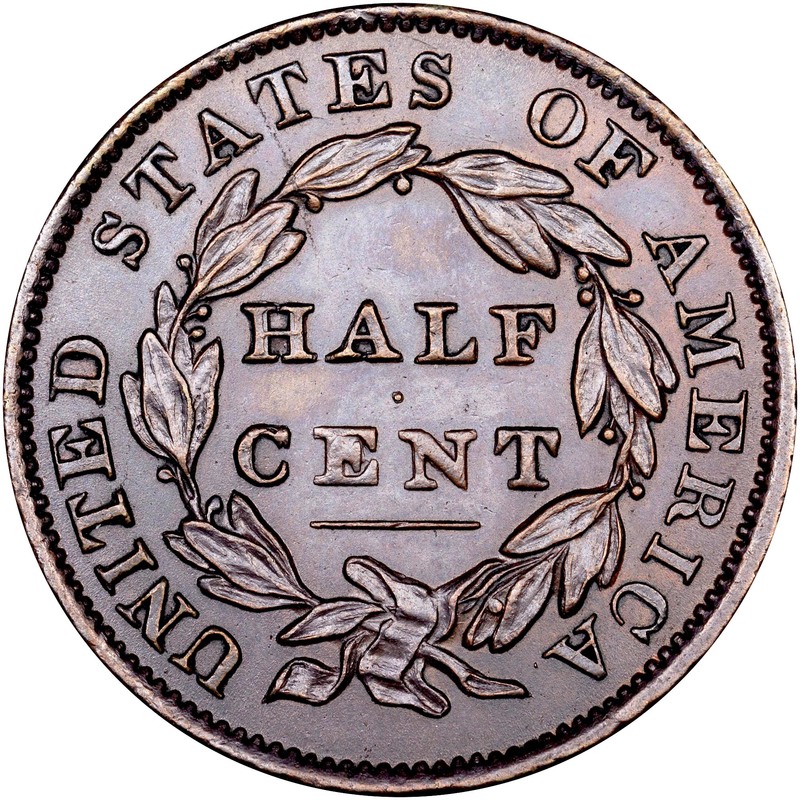 The published mintage figure is unlikely to be correct, as die state studies have proved that the mint was striking 1833- and 1834-dated half cents alternately without regard to the calendar year. 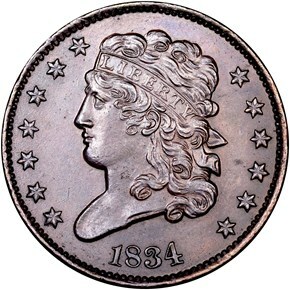 This date was coined with a single pair of dies, the reverse being transitional with both 1833 and 1835 C-1.